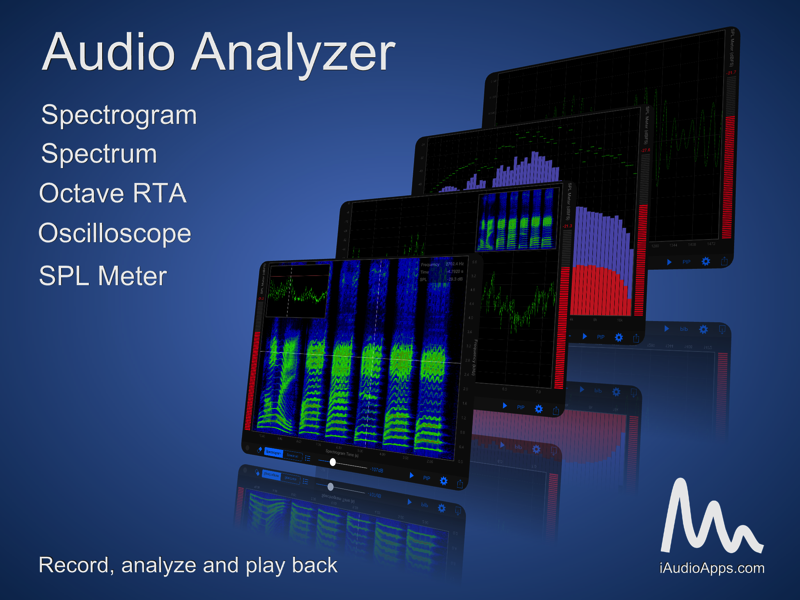 Audio Analyzer is a real-time spectrum, spectrogram, oscilloscope and octave RTA analyzer. 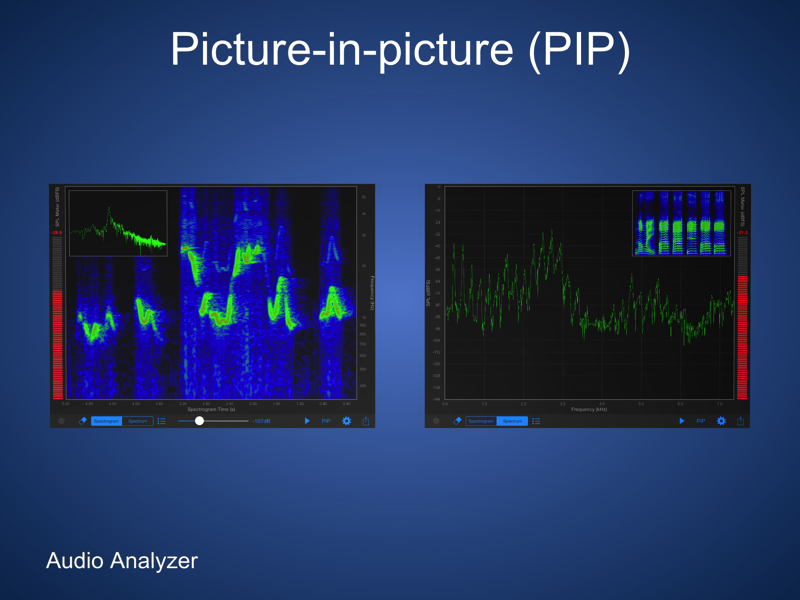 It displays a visual representation of an acoustic signal. 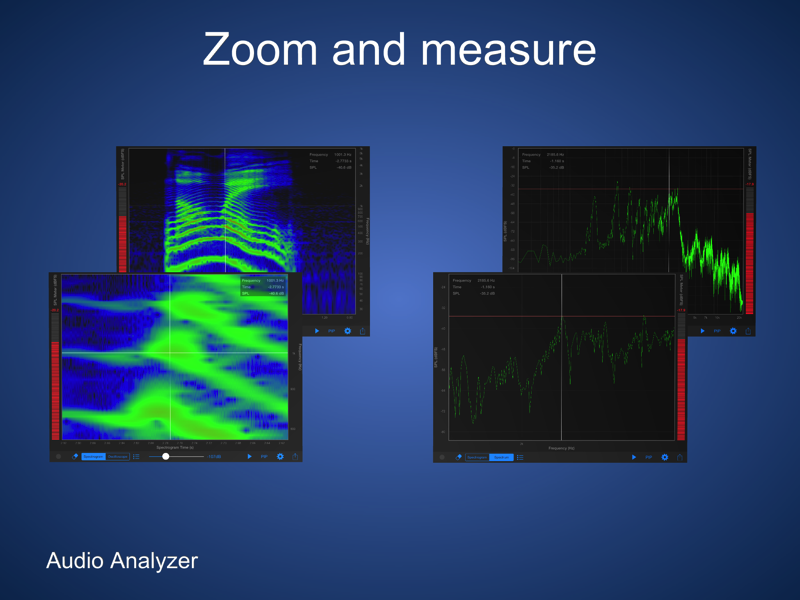 It can be used to analyze the sounds of musical instruments, to identify spoken words phonetically, to measure the frequency response of audio equipment, and to visualize animal calls and sounds. 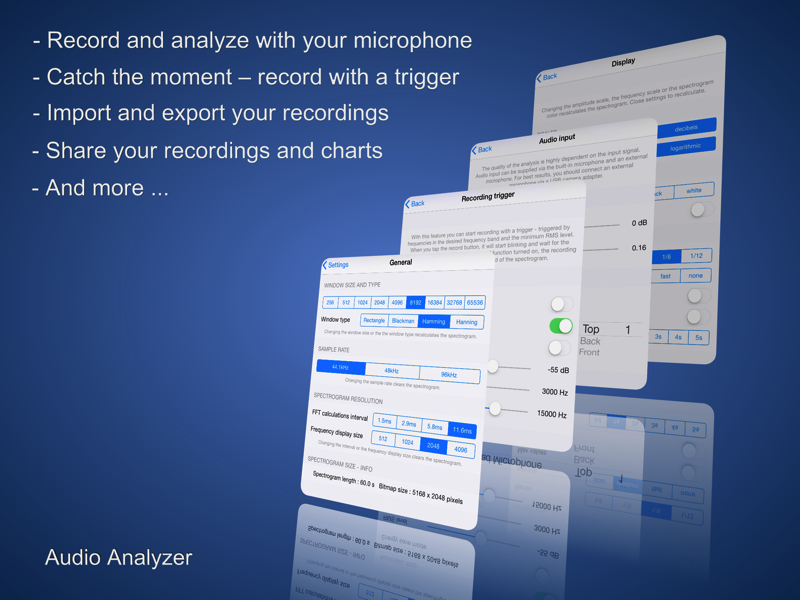 It can be used to check “The Singer’s Formant”, the most important measure for every opera singer. Mac, iPad, iPhone, and iPod touch are trademarks of Apple Inc., registered in the U.S. and other countries. App Store is a service mark of Apple Inc.